The border between virtual, mixed and real world continues to grow thin with every passing day. Providing experiences that, not so long ago could only be found in the imagination of writers. With new inventions in this technology, the differences between VR, MR and real world seem a little puzzling at first. But the deeper you look the clearer your understanding gets about them. In this article, we’ll have a closer look at the realm of virtual reality and mixed reality, its functions and the exciting future it holds. In virtual reality, everything is make-believe. Virtual reality is like entering a parallel world which appears near to reality. It is an artificial environment that is created with the help of advanced software and presented in such a way that users accept it as a real environment. Its simplest form is a “3D image”, which can be explored interactively on a simple computer, mostly by using keyboard keys or a mouse. Virtual reality can have two forms, it can be used, either to create stimulation of a real environment for training and education purposes, or for the development of an imagined environment for a game or interactive story. In mixed reality, there are objects virtually overlaid on top of real-world objects. It’s a blend of the physical world with the real world. Mixed reality allows you to see and engage with your surroundings even as you interact with the virtual environment using your hands, without ever removing your headset. It’s like having one foot in the real world and the other in imaginary place, offering an experience that can change the way you play games and work today. A recent launch of head gears for virtual and mixed reality by big tech giants have sent waves into the tech industry as well as businesses of all sort. Many of them have already started to re-align their business strategies because of the emerging potential of mixed reality and virtual reality. Tech enthusiasts have foreseen huge benefits to all industries by this promising tech. Industries particularly retail, healthcare and education will be directly affected by it. May it be a company’s CEO supervising his business or an artist working on her portfolio. This is going to have a huge impact on everyone’s life. An example of it can be a simple tool known as Tilt Brush, a three-dimensional paintbrush that lets your room be your canvas. Such are the applications which have an amazing future ahead. Many of the software houses with the futuristic approach, are already moving towards the development of mixed reality and virtual reality apps, as this is the most anticipated market in near future. Using mixed reality in the healthcare industry can allow healthcare experts to have a better look at what they are dealing with. Hence, making it easier to diagnose and treat patients in a timely manner. Again, it greatly improves efficiency and productivity. The education industry is yet another one that can be impacted with the introduction of mixed reality into classrooms. This can take student-teacher learning experience to all new heights. And research capacities can be expanded and improved. Virtual and mixed reality is something that will not only revolutionize the way people work but also transform their lives. With the convenience of screen less interactions and advantages like saving time, space and money, this is going to be the most liked tech by consumers of all sort. Therefore, there’s no doubt in saying that the future of virtual and mixed reality is bright. 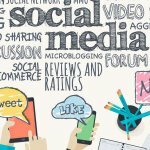 How social media marketing helps you in business growth ?